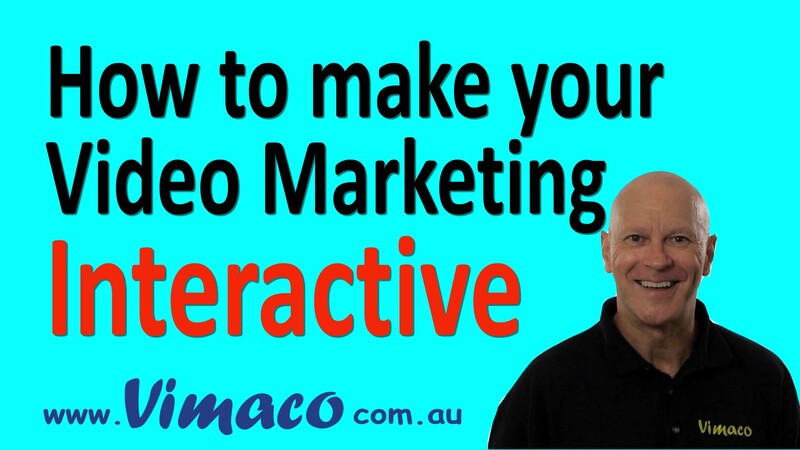 How to make your Video Marketing Interactive. Are you bored watching the same old ‘linear’ videos? You know the ones that start at the start and end at the end. When all you can do is watch it – or more likely, switch it off. What you need is a video with a bit of interactivity to spice it up. In fact a well planned interactive video will not only make it a more user-friendly experience for your viewers, but it will also help break through the clutter of all the other videos that are out there. For example, if you have a lot of content that you need to fit into one video, it could make it too long with the danger that you may lose your audience. And that will have a negative impact on the ranking of your video. However if you were to use a menu at the start of your video, much like a DVD, your viewers could choose which section of the video that they wanted to watch and they could come back at a later date and watch other ‘chapters’. Or you could run a menu at the top throughout the video much like a website. And that makes sense when you think how visitors use your website. They don’t click on every webpage in order but click directly to the content that interests them. Using menus is easily done using simple graphics and annotations that link to other parts of the video or other videos. There is so much more you can do with interactivity to customize the experience for your audience. For instance, if you have a global audience, why not offer them a choice of language to watch your video. You could also offer them a choice of presenters that better match their demographics thus creating a greater connection with your potential customers. You can sense the power of interactivity to really create compelling video content. The only limitation is your imagination.